Enhance your skin with our innovative Concealer Pen. The fluid concealer formulation is high coverage and leaves a matte finish – the perfect companion to any base routine. With Vitamin E, a powerful anti-oxidant that will effectively help to fight against free radicals, including the ones caused by UV light. This concealer, containing pro-vitamin B5, will help the moisture balance of the skin, allowing it to become softer, smoother and more elastic. Apply direct from the new Concealer Pen metal tip for a cooling effect, which reduces the look of under-eye puffiness. Apply direct from the new Concealer Pen metal tip for a cooling effect, which minimises the look of under-eye puffiness. This concealer is fab! Goes on well and the metal tip really cools and soothes under the eye. It gives great coverage for dark circles and doesn't budge! I'm planning to stock up my kit with it to use on clients now. I used to hate concealer and avoided it as much as possible as it tended to irritate my rosacea and dry my skin out leaving me looking all blotchy. This concealer is so light but gives great coverage (without looking like a mask). 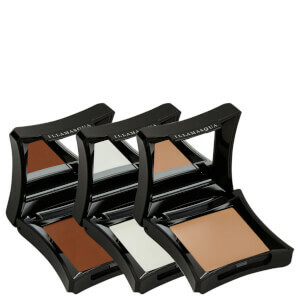 It works beautifully with the skin base foundation and lasts all day. It covers enough of my rosacea to make me happy without any tightness or irritation. Really easy to use and apply as well. 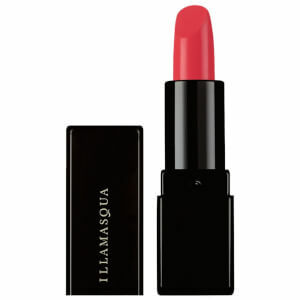 THE must have from Illamasqua!! Received an email from Illamasqua about the new concealer pen launch and thought i'd give it a try. 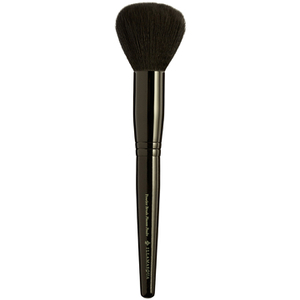 It's so good, the metal tip is really nice to use as opposed to a brush; gives a lot cleaner finish and levelling on the face. My clients love it too! Can't wait to see whats next. My new favourite concealer! It helps blur darkness around my eyes, blemishes and redness. I use skin base foundation in the shades 3.0 and 4.5 - i purchased the pen in light 1 and it blends in perfectly with my foundation. Highly recommend for anyone looking for a new concealer! Been buying this brand for a few years now so when a new concealer pen came out I had to buy it! I get pretty dark circles under my eyes and this concealer really helps cover my lack of sleep! Also think that the price is very reasonable in comparison to other brands I have purchased in the past.. I will definitely be repurchasing once my current pen runs out. I don’t often leave reviews so something has to be truly special for me to do so. I’m a big fan of liquid concealers & this is by far one of the best that I’ve used in a long time. My go to always used to be from a Canadian brand who lost their cruelty free status last summer, & I’ve struggled to find something that matched that particular concealer until now. The Skin Base Concealer Pen has surpassed my expectations, especially with the Vegan formula, & after ordering a shade to try I’m now ordering the rest for my kit. Well done Illamasqua!